Returning to Funchal, for a luxury holiday in Madeira (which is part of Portugal), was really high on my list. For like 15 years. It seems like a joke – but not going back for such a long period of time was one of the silliest things I have ever done. 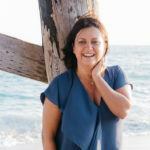 I spent many Summers in my teenage years on the island (and neighbouring Porto Santo), and returned in my mid-twenties (technically as an adult) and it is a place I have always loved. You do feel like you are in Portugal – but you feel you are somewhere truly unique: you are in Madeira, an island with its own personality, customs and, extremely important, food. And where is Madeira? Well, take a look at Google Maps and you will understand why it is so unique – it is located in the Atlantic Ocean, closer to Africa than to Europe. 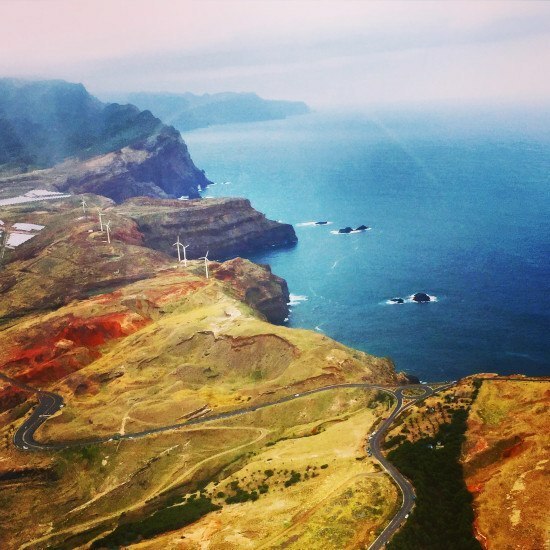 Landing in Madeira is a truly unique experience – not for the faint hearted. But our approach was stunning, even on a cloudy day. This trip to Madeira, which took place over Easter, was our first trip with Sovereign, and my first official Spring trip – so needless to say, I was keeping everything crossed for some sun. Our Sovereign experience actually started the day before we left – I must confess I was (pleasantly) surprised when I got a call from Hayley, the Sovereign Madeira concierge, who told us she would be waiting for us with our driver at the airport and asking if there was any help we needed locally (e.g. reservations, ideas, etc). I thought it was a very nice touch and let me tell you, having Hayley on call 24/7 was extremely useful and I will tell you why in a second or three. 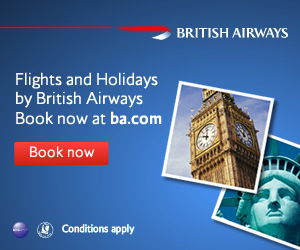 One of the reasons why I was keen to return to Madeira was because BA recently announced direct flights from London, but sadly for me, our travel dates were before the route launch, so our only option was to fly with Monarch. 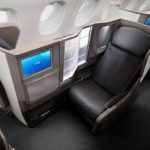 With Sovereign, you can book any flight on any airline you want, so this was the best option and I have to say, I needed all the bells and whistles I could get, as I would be missing out on my ‘normal’ travel experience. We bought extra legroom, onboard meal, checked luggage and priority boarding and check-in (all pre-organised, so Sovereign handled all the booking process). 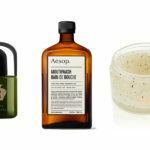 There was one thing missing – and this was another incredibly pleasant surprise. Where available, all Sovereign guests get fast track security and lounge access in UK airports, and in this case, we got to start our journey at the No. 1 Traveller lounge at Gatwick, which I had visited on previous occasions and I have no say, it was the way to start our journey. Mrs. O approved indeed. Our flight took almost 4 hours (and the legroom on the first rows was better than BA’s new Club Europe, which kills me, for the record) and as planned, we were met by Hayley and our driver mid-afternoon. Worth noting that the luxury private transfers where also part of the Sovereign package, available for every guest. We got a folder with our transfer information, all activities planned and some new ideas to try – a very nice touch indeed. 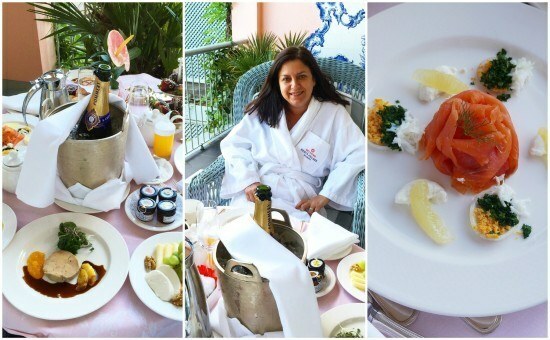 On this occasion, and on my previous trip to Madeira, we stayed at the lovely lovely lovely Belmond Reids Palace. 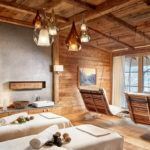 I have never had a Belmond experience I did not love (the British Pullman, the Venice Simplon-Orient-Express or Le Manoir), and I must say – this was no exception. 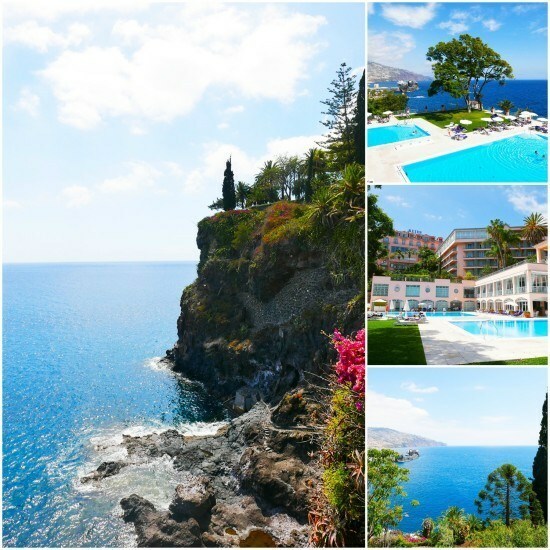 The Belmond Reids Palace is the ‘Grand Dame’ of Madeira and a lovely one. First things first… where was the pool? Incredible views of the Atlantic Ocean at the Belmond Reids Palace. Photos taken with Leica D-Lux camera. We were welcomed at the Belmond Reids Palace by the lovely Isabel, who offered us a quick hotel tour. There is a reason for this – the hotel layout is not the easiest to understand, due its location and collection of various buildings. 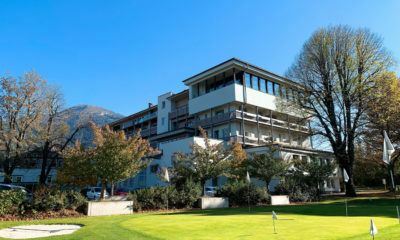 To give you an idea, our room was on the ground floor of the main reception building, which would be one of the top floors if you look at the photo above. It was very useful and do say yes when offered. The hotel has had some face-lift over the years and I quite liked the ‘mix of styles’, let’s put it this way. Some common areas are more modern than others and exactly the way they should be. We then went to our room, which was simply stunning. A junior suite with partial ocean views – beautifully decorated and incredibly comfortable. 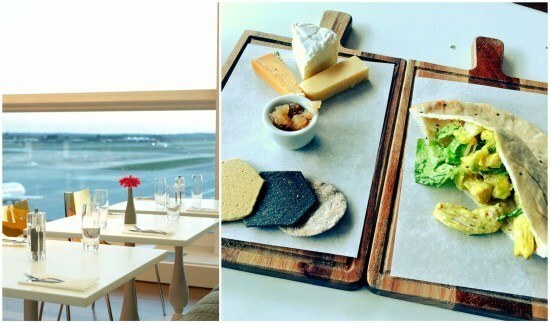 Our stunning suite and our fab welcome amenity. All Sovereign guests receive a bottle of Blandy’s Madeira Wine and yummy local cakes. Photos taken with Leica D-Lux Camera. After we unpacked and explored the hotel a bit more, we decided to head into town. We could have taken a taxi (5 minutes to the centre, if that), but we wanted to walk and see some more. And I have to tell you – it was the best thing I ever did. Why? Because if I had taken a taxi, I would not have seen one of the most *important* sights in Madeira: the statue of Cristiano Ronaldo, one of its better-known exports. I am being slightly sarcastic (namely as the statue does not really look like him or the actual need for one), being it was quite funny walking by the port and actually being surprised by it. And before you ask, no, we did not to go the CR Museum. Does it look like him? I don’t think so. But the city was so pretty. Photos taken with Leica D-Lux camera. We spent the next couple of hours, *cough*, shopping. Funchal has very good shopping options (developed since my last visit), and we helped the local economy at the Dolce Vita shopping centre and walked around town, towards our restaurant. At this stage, I decided to text Hayley, our Sovereign concierge and give her a challenge: to find us a good post-dinner bar. She got back immediately asking what type of bar we wanted and said she would get back to us shortly. My only request was that it wasn’t too far from the restaurant that had been booked for us. 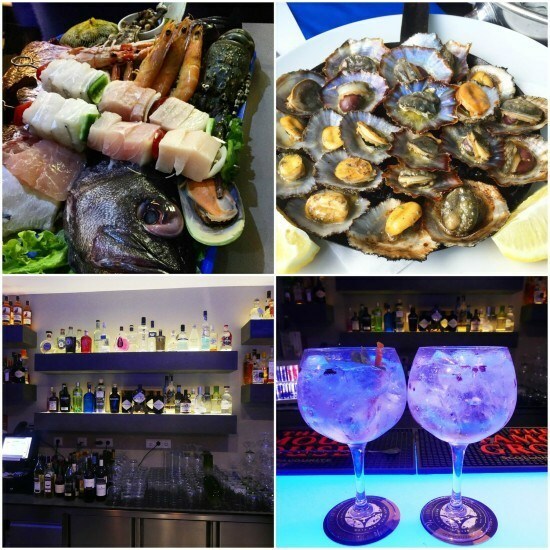 Dinner out in Funchal and a great night out at Santa Maria Gin Club. We did not wake up that early, I will not lie, but we just about made it to breakfast, which was very good. The weather was so-so and we had a morning to explore the city a bit more. There was one place I wanted to go to: the market. To say it was alive and kicking, would be the understatement of the year. I love visiting markets everywhere I go – and I found the food on sale so different from Mainland Portugal. Mr. O was a bit confused too and kept saying ‘this is so different, this is so different’. 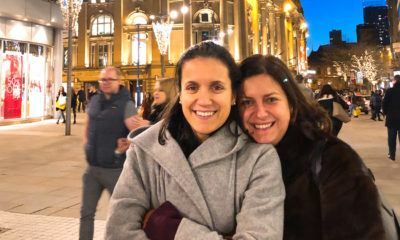 Some moments from our day, including the champagne dinner we had later that day at the hotel, the spa and the market. We ended our morning at the other shopping centre (Forum Madeira) and we couldn’t help but notice something quite unique – taxis are yellow in Madeira, which is not the point of my comment, and there are many many of them and lots of taxi ranks, making it quite convenient. But when in one, the taxi drivers do something quite incredible: instead of moving forward once the taxi ahead leaves, they get out of the car and push it. I had never seen that before and found it quite… strange. At 2pm, we were picked up by Jaime in a Land Rover, for a 3-hour jeep tour of the Eastern part of the island. 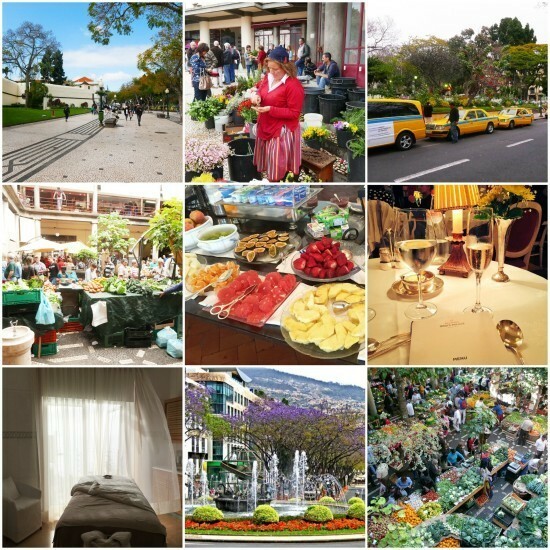 Madeira is BIG – and notice how I named this blog post ‘A lux weekend in Funchal’ – in 3 days, we saw very little of Madeira and hence most people stay between 1 and 2 weeks. I used to spend a month almost each summer and it was never enough. Incredible views of the city and some surprises! Photos taken with Leica D-Lux camera. The island is… stunning. Incredibly diverse in terms of scenery – and very very steep. In under 10 minutes, we had dropped 15c in temperature. Madeira has a lot of interesting aspects – and many people visit the island just to look at its flowers and plants. We did not have a chance to see the Botanical Gardens (next time, next time), but Jaime was very keen to show us as many varieties are he could, namely when he realised that Mr. O has very green fingers. And he even topped it up when he took us to a cider place. I am sure you thought about plants and cider and thought… hum.. UK? Well, there is a lot of history between both countries and significant amount of influence. There are many prominent families with British surnames in Madeira and obviously many visitors. The level of English spoken on the island is excellent (I have never seen it before) and the attitude to service was outstanding. I was (secretly very proud and) very impressed. How beautiful was this? And so much more to see. Photos taken with Leica D-Lux camera. At the end of the afternoon, we made it back to the hotel, where we took a little nap before dinner, which was the Belmond Reids Palace’s Saturday night champagne gala. Excellent selection of food, very generous servings of Pommery and let’s put it this way, we even danced to Abba that night. We had some activities planned for the day, but something happened: heat. 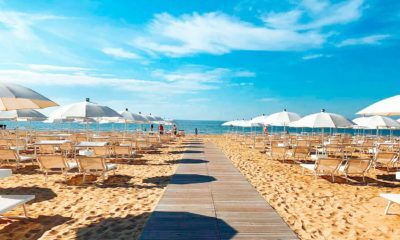 We had sunshine the other days, but not enough heat to make us want to lie by the sea – until this very day. So we cancelled everything and did something we do *very well*. We stayed by the pool. It is worth noting that Madeira’s coastline is rocky and there are no sandy beaches in general. But you have access to the ocean and despite being cold, I was challenged by my lovely readers to jump in, and I have to say, I have photos to prove it. Brrrrrrr. It was cold, but it was totally worth it. And the ocean pool… bliss! 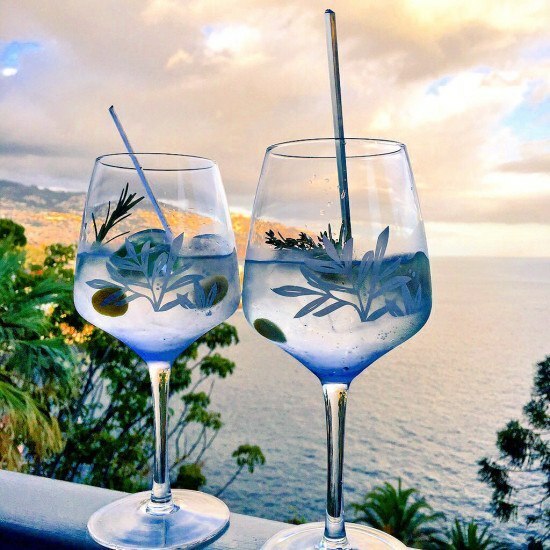 The perfect Gin & Tonic with a view. For dinner, the concierge had booked us a very traditional place (at our request), where we could enjoy another of the island’s specialties: grilled beef on skewers, fried corn and passion fruit mousse. 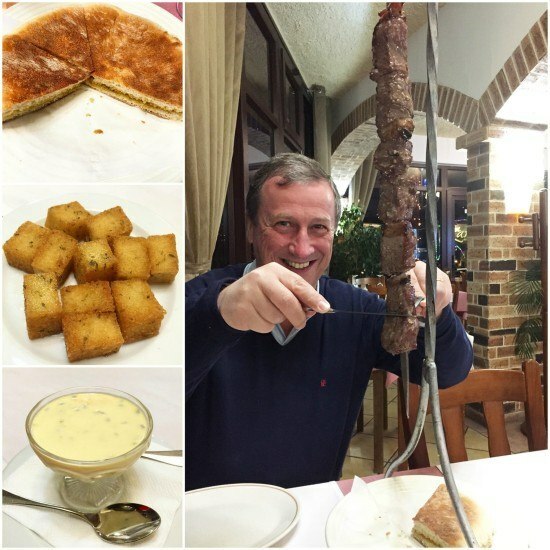 Obviously we also had ‘bolo do caco’, which is bread with garlic butter…? Oh well! We had dinner at Zarcos, and we could not have been better looked after. (Dinner for 2 with wine: €50). Mr. O was a very happy boy. The food in Madeira overall was exceptional. We had made our way back to the hotel, and had our first sip of Madeira Wine (from our welcome amenity). I called it homework for the following day. Monday was our last day in Madeira and we were going to end it in style. When staying at the Belmond Reids Palace, all Sovereign guests receive a complimentary breakfast in bed. I will not lie and say I did not expect something special – but I did not expect this incredible spread. If anything, way too much for two people. But a lovely touch and a breakfast I will not forget in a hurry. Or ever. A special treat for Sovereign guests at the Belmond Reids Palace. Amen. Photos taken with Leica D-Lux camera. Following my experience the day before at the spa (which was outstanding), we booked treatments a little bit after breakfast and just enjoyed our morning, before our final treat. 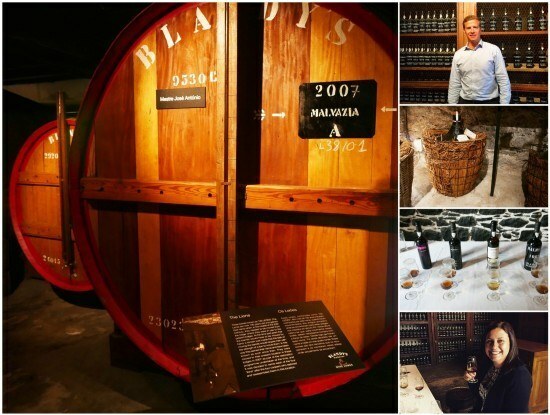 Of course we couldn’t go to Madeira without tasting the best Madeira Wine. 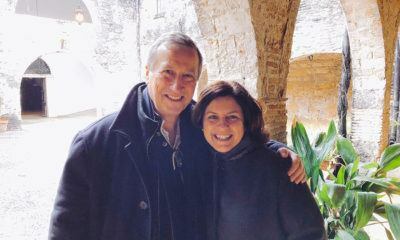 I must confess I knew very little about it, and it was a real treat to have Chris Blandy, who I have known for a few years (and a lovely man), who also loves travelling, showing us around the Blandy’s Wine Lodge. His mission is to take Blandy’s as far away as possible and doing an incredible job at it. 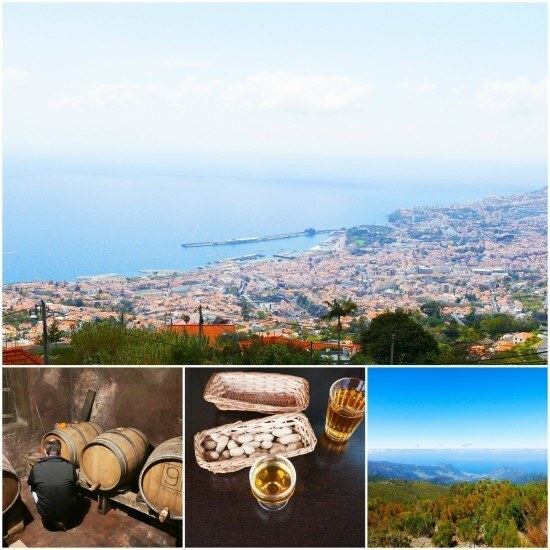 If you would like to discover more about Madeira Wine, take a moment to read the Beginners Guide to Madeira Wine that Chris prepared for me. We loved our tour of the Blandy’s Wine Lodge. Photos taken with a Leica D-Lux camera. We had a quick lunch with Chris, before we said goodbye. But not before I went to the shopping centre to get the dresses I had bought 2 days before which needed alterations (which were made over Easter weekend. I kid you not. Incredible). Needless to say, we coordinated this with our Sovereign concierge, who organised for our driver to pick us up from the city centre, nip to the hotel for the luggage and made our way to the airport, before our flight home. Worth mentioning that if you don’t want to take your wine in your luggage, Blandy’s has a shop at the airport past security and you can take everything back home as hand luggage, which is exactly what we did. 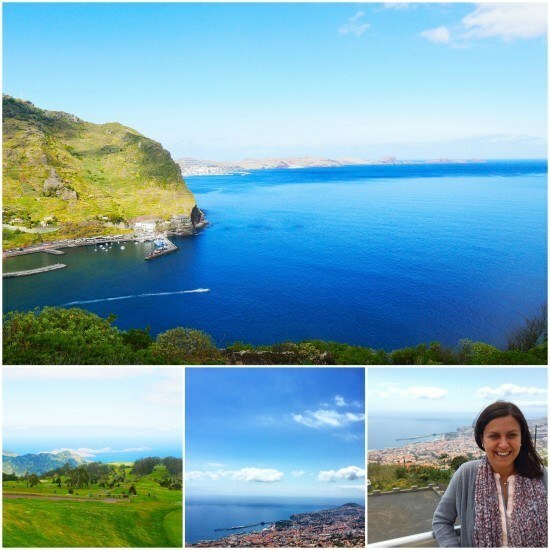 I loved our 3 days in Madeira – and I was so mad with myself for taking so long to visit the island again. We had an exceptional time – Sovereign were excellent, the hotel was amazing, the food was out of this world and once thing was constant: the quality of service. I am a very proud Portuguese, but have to say good service and Portugal do not always go hand in hand. In Madeira, it was one of the best experiences I remember in a long time. Credit where it is due – it was world-class. Disclaimer and Fact Box: I was a guest of Sovereign, who organised our whole trip. Our experience was outstanding and opinions (and sighs) are, as always, my own. Capturing the essence of grandeur, Belmond Reids Palace is a supremely elegant and stylish hotel with breathtaking views of Funchal’s bay. 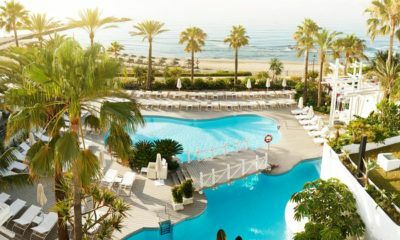 Situated on a clifftop overlooking the Atlantic Ocean and surrounded by ten acres of subtropical gardens, this hotel offers a fabulous ocean front spa and direct access to the sea. Sovereign offers stays at this hotel on a B&B or a Half Board basis. Sovereign’s long standing relationship with the Belmond Reid’s Palace together with their team of dedicated experts with their exceptional knowledge and enthusiasm ensure great service and value is offered to Sovereign’s customers. Welcome Gift – Sovereign guests receive a complimentary bottle of Madeira wine in their room on arrival. Complimentary Breakfast in Bed – Sovereign guests receive one complimentary breakfast in bed per stay. Spa offer – Sovereign guests receive €30 spa credit per person per stay towards the cost of their first treatment (minimum of 45 mins) for holidays between 01 May – 31 October 2015. The Leica D-Lux costs from £749 and you can find out more information about the camera at Leica’s website. I have been provided with a camera for this trip and opinions are, as always, my own. A estátua de CR é o menos importante que há para ver na Madeira. Até porque nem parece ele. Tem um rosto tão peculiar que teve se de ser um criador pouco credenciado para não conseguir captar a estrututa da sua face. Mas o mais importante é que se não percorreu uma das suas muitas levadas e veredas perdeu o que de mais bonito tem a Madeira. Desde há 7 anos a esta parte que um grupo de 4 amigas percorremos durante 8/9 dias muitas dessas levadas e veredas e digo-lhe: Nunca nos cansamos de admirar a sua beleza. It’s like a dream place. Thank you for sharing. 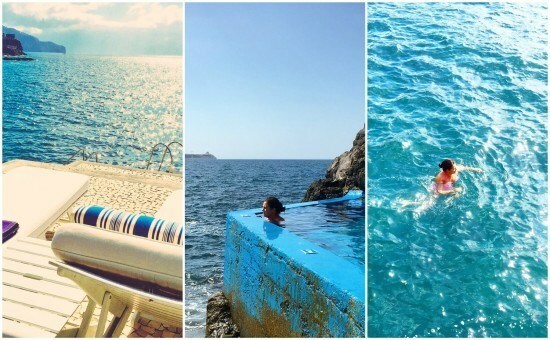 I’ve never been there and your post and beautiful pictures only made me fell in love with Madeira! It’s decided – next destination for the holiday – Madeira, Portugal! Great to hear 🙂 Let me know when you go! 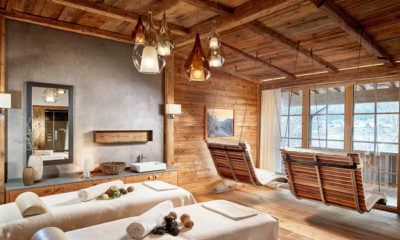 I have never stayed at a Belmond property but it is on my radar. Looks lovely. They are wonderful. Very unique! I have just got back from Madeira. We also stayed at Reid’s for five nights which wasn’t enough! We met several people who have been taking annual trips, some for over thirty years! Needless to say I’m fully intending joining them! The level of spoken English in Madeira is excellent and here are fantastic restaurants and bars in Funchal. I hope to explore these further over the coming years! One thing I’ll have to point out is that the landing in Funchal can be a bit hairy. We were lucky that it wasn’t too windy on the way in but we met a couple who had their plane sent back to Faro a couple of days before. I quite like the more interesting approaches but they’re not for everyone. 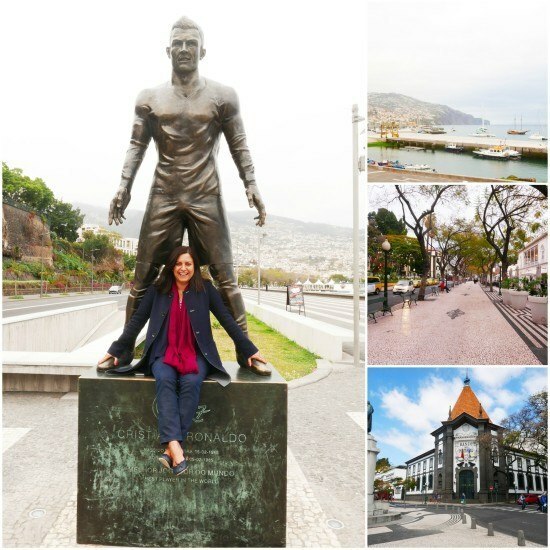 I loved our visit to Madeira, so much to see – did you go on the famous toboggan or to one of the botanical gardens? We walked past the Cristiano Ronaldo museum but didn’t go in either! Suze The Luxury Columnist recently posted..Longueville Manor – Luxury Stay in Jersey and a view of the Milky Way! 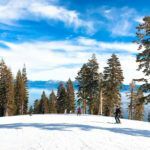 we were mildly obsessed with following this trip on insta, and love reading about it in more detail! and that hotel looks goooorge. It is beautiful! I think you ladies would love Madeira too! I loved the photos and I’am glad you enjoyed your holidays in Madeira. 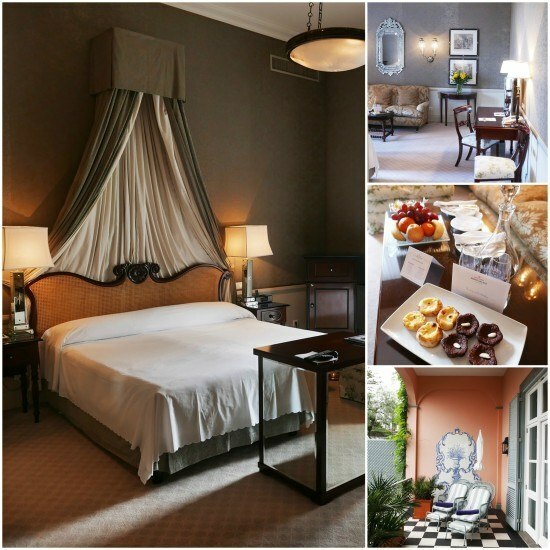 I stayed at the Belmond Reid’s Palace also last week and we really enjoyed the place, such a special hotel ! It really is!! 🙂 stunning! Nice post, Looks like I’m going to have to add it to one of your slower getaways. It is perfect to relax, and lots to do, if you feel that way inclined. And to eat as well! UmCaminhoParaTodos recently posted..Camino Sanabrés: 30. Tabara – Santa Croya de la Tera. Estás feliz? / Are you happy? Madeira is truly gorgeous! I’m going there for a wedding in October! Can hardly wait! MissLilly recently posted...: When the music plays :. I want to go back!! Oh, I can only imagine the perfect wedding there… Tell me you are staying longer?